Hannah Arendt's insightful observations of the modern world, based on a profound knowledge of the past, constitute an impassioned contribution to political philosophy. 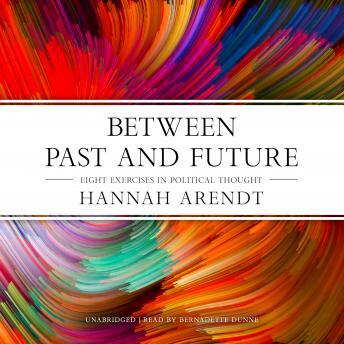 In Between Past and Future Arendt describes the perplexing crises modern society faces as a result of the loss of meaning of the traditional key words of politics: justice, reason, responsibility, virtue, and glory. Through a series of eight exercises, she shows how we can redistill the vital essence of these concepts and use them to regain a frame of reference for the future. To participate in these exercises is to associate, in action, with one of the most original and fruitful minds of the twentieth century.